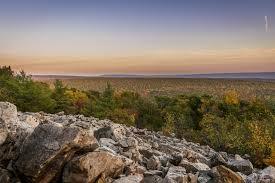 Enjoy hiking 5 to 8 miles a day in Rothrock State Forest. Group equipment is provided. This includes: tents, water filters, bear safety gear, dinner and dessert for the first night (local, fresh, and organic meal), and breakfast on Sunday morning (oatmeal/fruit/hot drink). Backpacks and sleeping bags are not provided. During this trip each girl will learn Leave No Trace ethics/skills, equipment choice, campsite selection and set up, back country meal prepping (staying sanitary, packaging/unpackaging, cooking safety, etc. ), bear bagging methods and safety, water filtering and purifying methods, and trail etiquette. In the evening on the first night, we'll do a quick briefing on wilderness survival and demonstrate some of those skills. Our guides are certified Mountain Leaders (backpacking guides) through the American Hiking Guides Association (AHGA) and also have CPR and Wilderness First Aid or Wilderness EMT. They are also Leave No Trace Trainers and Backcountry Food Handlers. Meeting place to be determined. This event is run by Ultimate Outdoor Adventures. Please contact Joey at 480-274-8436 with any questions. Program fee refunds will not be issued for cancellations received one week or less before the program start date.